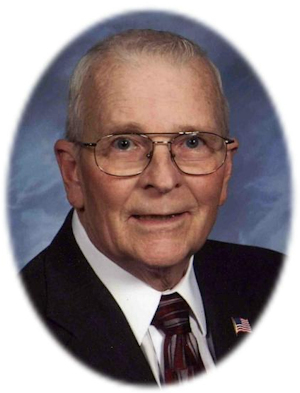 Obituary – Cronin, Robert Gerhard “Jerry” « Perry High School Alumni Association, Inc.
Robert “Jerry” Cronin, 75, of Perry, Oklahoma was the son of Joseph Gordon and Petronella (Schurkens) Cronin. He was born October 6, 1932 at Ardmore, Oklahoma and died Monday, December 10, 2007 at Stillwater Medical Center in Stillwater, Oklahoma. As a young child, Jerry moved to the Perry community where he was lovingly raised by his aunt, Marie Schurkens. He was a 1950 graduate of Perry High School and attended Oklahoma A&M College in 1951. He served his country with the United States Air Force from 1952-1956 and attained the rank of Staff Sergeant before he was honorably discharged from military service. Jerry was a 1958 graduate of the Dallas Mortuary School. He was employed at Newton Funeral Home in Perry for 25 years. He later took a job at The Charles Machine Works, Inc.
A 20-year employee of CMW, Jerry was a leadman before he retired in 1997. After his retirement, he continued to work part-time as a funeral director, most recently for Brown-Dugger Funeral Home. He and Doris J. Schmiedbauer were married October 25, 1963 in Perry, Oklahoma. Jerry served as Mayor of Perry from 1987-1991 and was a member of the Perry City Council for more than 20 years. He also served on the Perry Memorial Hospital Board and was a member of St. Rose of Lima Catholic Church, the St. Rose of Lima Catholic Cemetery Board and the Veterans of Foreign Wars. He enjoyed woodworking, yard work, playing golf, watching the squirrels and birds, drinking coffee and visiting with family and friends. Funeral mass will be at 2:00 p.m. Friday, December 14, 2007 at St. Rose of Lima Catholic Church in Perry. Father Tom Dowdell will officiate. Interment will be in St. Rose of Lima Catholic Cemetery. Services are under the direction of Brown-Dugger Funeral Home in Perry. A family visitation will be held from 6:00-8:00 p.m. Thursday, December 13, 2007 at Brown-Dugger Funeral Home. Memorials may be made to the American Cancer Society in care of Brown-Dugger Funeral Home, 1010 N. 7th Street, Perry, Oklahoma 73077. 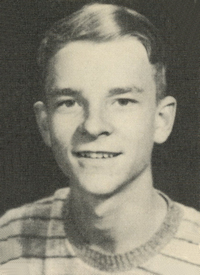 In addition to his wife, Doris, Jerry is survived by one son, John Cronin, and his wife, Amy, of Guthrie, Oklahoma; two daughters, Deanna Goldsberry, and her husband, Jeff, of Perry, Oklahoma and Laura Rea, and her husband, Greg, of Sallisaw, Oklahoma; five grandchildren, Randilyn Bradshaw, Jace Goldsberry and Alyssa Goldsberry, all of Perry, Oklahoma, and Kelsey Rea and Kyle Rea, both of Sallisaw, Oklahoma; and one brother, James G. Cronin, of Pasadena, California. Jerry was preceded in death by his parents, two brothers, one sister and a special aunt, Marie Schurkens.